Mealguet Jewelry MG Personalized Custom Engraving Plain Stainless Steel ID Bracelets for Men Women,Black,8.3"
MG Personalized Custom Engraving Plain Stainless Steel ID Bracelets for Men Women, Name Plate Identity bracelet ABOUT US MEALGUET JEWELLERY is a fashion jewelry brand. We provide affordable fashion. Although we still have a long way to go, but we will never stop. We believe that all moments should be celebrated and every piece of our jewelry should be owned. Life is wonderful, I am enjoy to attend a party by wearing a lovely bracelets or necklace; I am enjoy to give a special gift to my loved one. I am enjoy to have different collocation with everyday's outfit. Set our mind free, "sell with love,faith and belief" ! 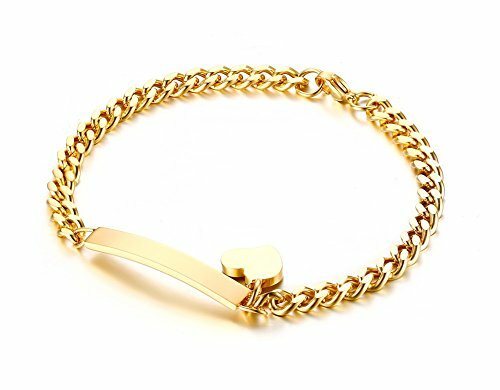 About Stainless Steel Jewelry Stainless steel jewelry has become increasingly popular in recent years due to changing tastes and style trends that lean toward a more industrial look. Commonly used in a variety of industrial applications, Stainless Steel has found its way to fashion where it's used in everything from necklaces to earrings. It's a jewelry that you can wear a very long time. Stainless steel jewelry is very easy to care for with its tough material that is able to endure a lot of wear and tear. This metal type is able to withstand moisture without tarnish or corrosion. 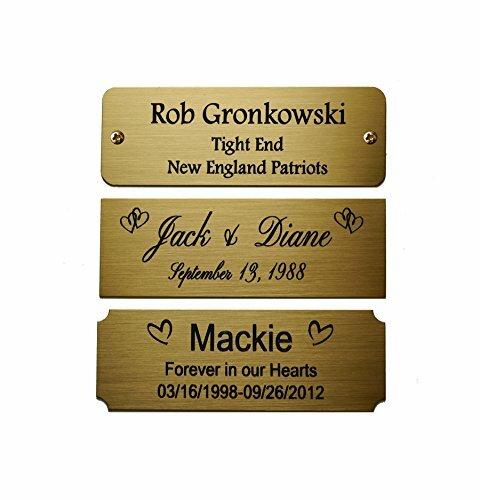 Let us personalize this high quality brass plate just for you. Choose from dozens of fonts and images. Create it just the way you want it, in order to fit your project. 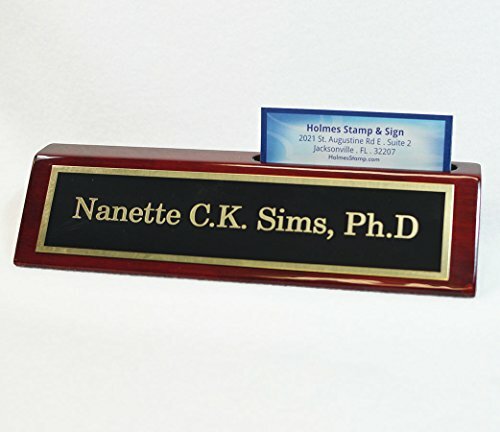 Mount to picture frames, artwork, plaques, wedding gifts, memorials, trophies, awards, and so much more. We use only high quality brass material, custom cut according to your specifications. You will not see any of those cheap "metal-look" plates here! 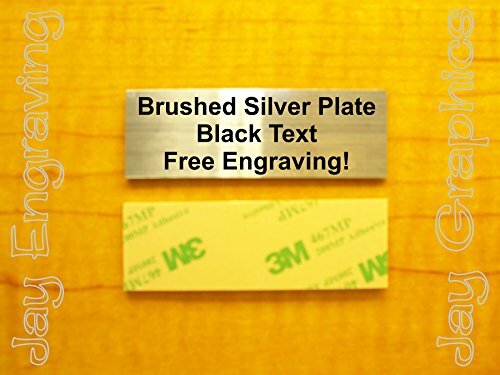 The plates are coated with a baked on enamel finish, and then engraved using our diamond drag engraving method. Then, engraving is darkened using an oxidizer solution. These plates are for indoor application only. Stainless Steel Thin Identification ID Tag Chain Bracelets with Small Heart Charm for Women,7.8" Why I need a Stainless Steel Jewelry? Stainless Steel jewelry does not tarnish and oxidize, It not like silver will be getting black, not like copper jewelry allergy prone, not as alloy jewelry because of lead. And it is amazingly hypoallergenic. Such advantages make it a more popular accessory. Other Tips from Mealguet Jewelry A: We will ship all our order within 48 hours. And the shipping time for International shipping is normally takes 7-15 days. B: please leave a positive feedback If you are pleased with the product or our service. Please contact us to get a better solution before you leave a neutral or negative feedback. Thanks! 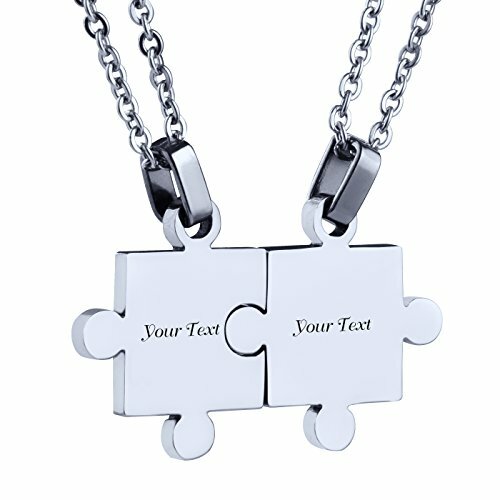 Personalized puzzle necklace set- Personalized custom engraving with a special Name, Initial,Date etc. The best way to show your love. A meaningful gift. 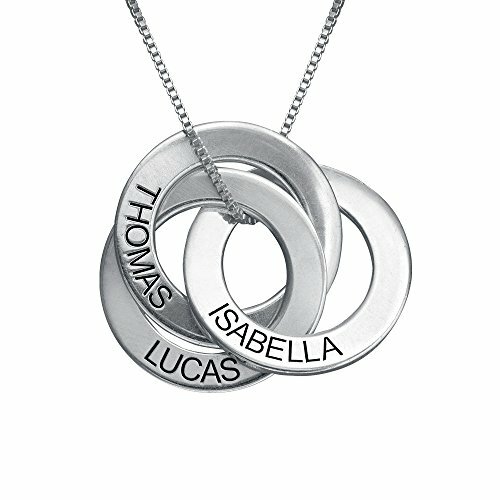 Made of Stainless Steel,highly resisted to rust, corrosion and tarnishing,sturdy and durable.Fashion/Chic ,matching couple necklace Perfect boyfriend girlfriend gift,his and her gift, Couples necklace set, his hers necklaces. for Birthday,anniversary,valentine's day,surprise gift,wedding etc. 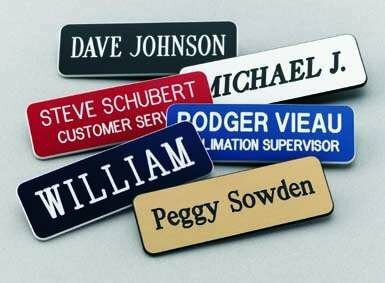 Enjoy custom identification for your employees with an engraved name tag from Providence Engraving. For over 30 years, we've made it our mission to create the highest quality identification products, at some of the lowest prices in the industry - all the while providing impeccable customer service. Our commitment to quality and service is reflected in every tag we make. Each name badge is personalized with a precision CO2 laser to ensure that the text is sharp and deeply etched for enhanced durability. This process creates a finished product that's long-lasting and easy to read. You can quickly personalize each tag with up to 3 lines of text by selecting your size and color and clicking "Customize Now." From here, you can choose if you want a pin or magnetic backing. That's all it takes to create a Providence Engraving personalized name tag. Order yours today! This three ring delight is a fun and trendy way to display the names of the ones closest to you. Inscribe a name on each ring of this dynamic Russian Ring Necklace. This item is available in silver, gold plating or rose gold plating and hangs from a matching silver box chain. Customization Instructions: Approximately ONE hour after you order you will receive an automated email from us, please reply to that email stating your customization. 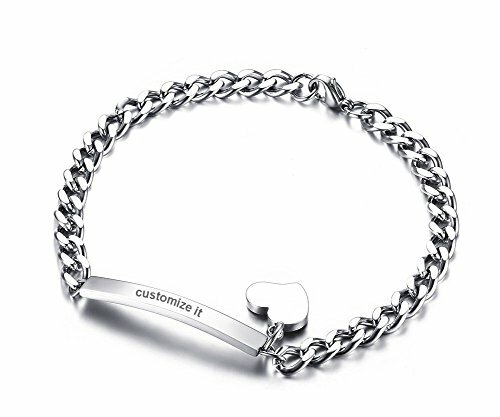 Free Engraving-Stainless Steel Thin ID Tag Chain Bracelets with Small Heart Charm for Women,7.8" OUR PROMISE TO YOU.... * Free gift ready packaging with every jewelry piece * 30 days money back guarantee, 100% secure shopping * Push new products every Week OUR JEWELRY IS: * Chic & Trendy Jewelry but with affordable price * high quality and fine craft for each piece * Fashionable complementary accessories "FASHION IS AN ATTITUDE" An Attitude towards beautiful things.To style your own life. PJ Jewelry helps you to explore and discover beautiful things such as : earrings,necklace,bangle bracelets etc fashion jewelry. Hope our jewelry piece light up your outfit and life. How to use the Korean Carbide engraver to outline and engrave illusional finish. 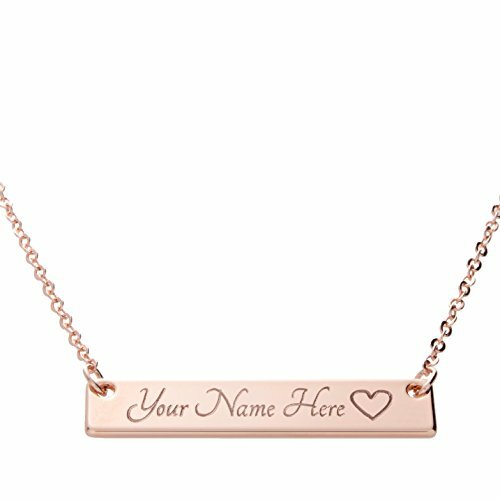 Compare prices on Name Engraving at ShopPlanetUp.com – use promo codes and coupons for best offers and deals. We work hard to get you amazing deals and collect all available offers online and represent it in one place for the customers. Now our visitors can leverage benefits of big brands and heavy discounts available for that day and for famous brands.